Outdoor lover ALERT!!! Huge semi-private outdoor patio; perfect for gardeners & pet owners alike. 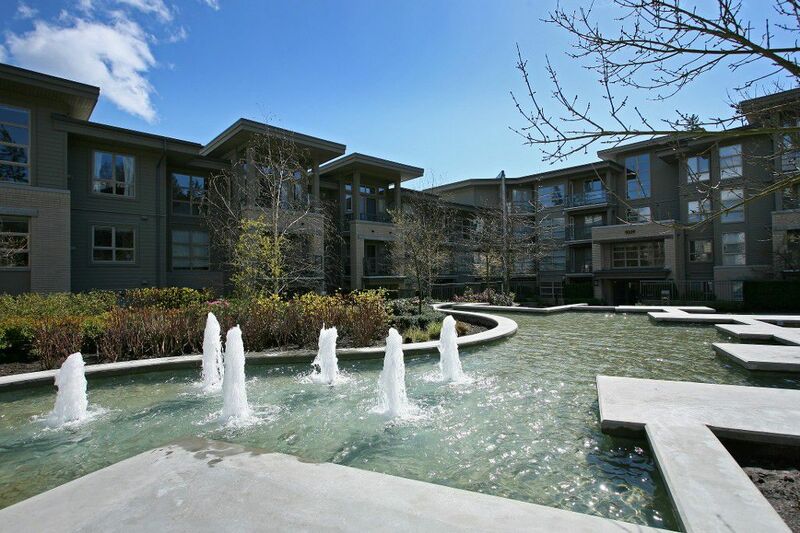 Enjoy peaceful & serene water fountain sounds from this bright 2bed/2bath/835sqf. You will not be disappointed. 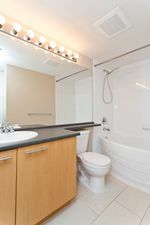 Features: freshly paintedthroughout, open concept plan, SS apps w/gas stove, gas F/P & 1 parking. Excellent sized master w/nook, ensuite with soaker & walk-in closet & a well sized 2nd bed complete this home. 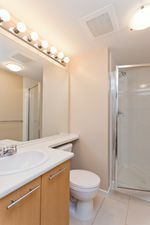 Located in The Harmony, a rental & pet friendly complex w/balance of a 2-5-10 yr warranty & gym. Close to all amenities: transit, shopping, indoor/outdoor recreation and a host of perks available only to UniverCity residences. Don't miss your chance to not only live in an area but enjoy living a great lifestyle.